This week we highlight an excellent and comprehensive new report by Adem Uzun, member of the Kurdistan National Congress (KNK) who we campaigned for throughout last year after his provocative arrest in Paris in October 2012. With the case now dismissed, we are very pleased that Adem is free to continue his work for freedom and resolution to the conflict in Turkey. 3. Biji Kurdistan! Biji Newroz! Biji Euskal Herria! “To all those friends whose heart is ablaze with the fire of Newroz for peace and freedom! Merhaba! I greet our people who have transformed the Newroz fire into an awakening and a festival of democracy in Mesopotamia, the cradle of civilisations. Amed Mayor Osman Baydemir has reminded the vast crowd celebrating Newroz that such a celebration is only taking place thanks to the sacrifices of those martyred. As thousands continue to flock to the Newroz celebrations, those at the site have passed the one and a half million mark. In his address, Osman Baydemir, currently Mayor of the Metropolitan Municipality of Amed and co-candidate for the Metropolitan Municipality of Urfa, said he would hand over his duties to Fırat Anlı and Gültan Kışanak in 10 days time. Lawyer Jonan Lekue, from the international department of Basque party Sortu, has been a very “usual” guest in the Newroz celebrations. His knowledge of Kurdistan and the Kurdish issue has to do also with his collaboration for years with the Kurdish movement in the work towards a just and lasting peace both in the Basque country and Kurdistan. 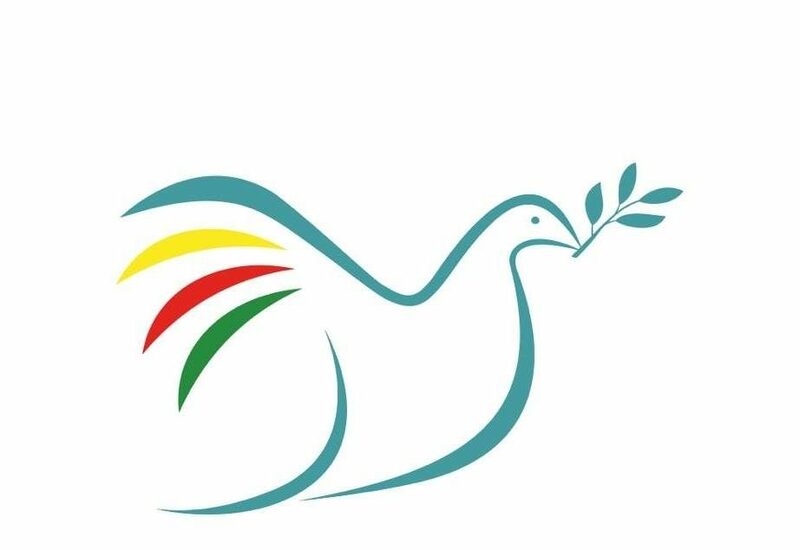 Lekue says “from Sortu on this solemn occasion, once again, we send our solidarity and fraternal greetings to all the Kurdish people and their long struggle for freedom”. Lekue, who was in Amed last year recalled that “one year Newroz was marked by the historic declaration of Abdullah Öcalan that opened the doors to hope of a new era of peace and democracy. The roadmap to peace presented by the Kurdish leader has been a significant change in the situation of Kurdistan”. The European Court of Human Rights (ECtHR) announced a ruling on Tuesday that the life sentence of the jailed Kurdistan Workers’ Party (PKK) leader Abdullah Ocalan is violation of rights and called for his conditional release. The court ruled Turkey partly violated the European Convention on Human Rights (ECHR) and calling on the country to create the possibility of conditional release for life sentences, or even abolish them completely, Zaman daily said in a report. The rule came after an application filed by Ocalan that mainly concerned his irreducible life sentence and the conditions of his detention. He was captured in 1999 in the Kenyan capital of Nairobi and is currently serving a life sentence on the island of Imrali near Istanbul. He was convicted of leading the PKK in an armed struggle against the Turkish military. The lawyers of the imprisoned Kurdish leader and the head of Kurdistan Workers’ Party (PKK) Abdullah Öcalan, who were tried in Kurdistan Communities Union (KCK) case, which is alleged to be an umbrella political organization that includes the outlawed Kurdistan Workers’ Party (PKK), were released by the Istanbul 1st Heavy Penalty Court, Dicle haber DIHA reported. The lawyers of Öcalan were released by caring the time they had been remained in jail. The Istanbul 1st Heavy Penalty Court released all the lawyers of Öcalan who had been arrested in November 2011. After the closure of special courts and the reduction of the limit of lengthy detention to five years on 18 March 2014 nine lawyers and one journalist have been released in the KCK-trial. They were detained since November 2011 awaiting the process against 46 lawyers of the suspects in the KCK trial. On March 18 2014 the defense team of the nine lawyers and the journalist pleaded for the suspects to be acquitted. The Court released the suspects from the pretrial detention following this request, under the condition that they will not leave the country. The Court considered that the suspects had a permanent place of residence and that enough evidence has been collected. The amount of time the suspects had already spent in detention also contributed to the decision to release the suspects. 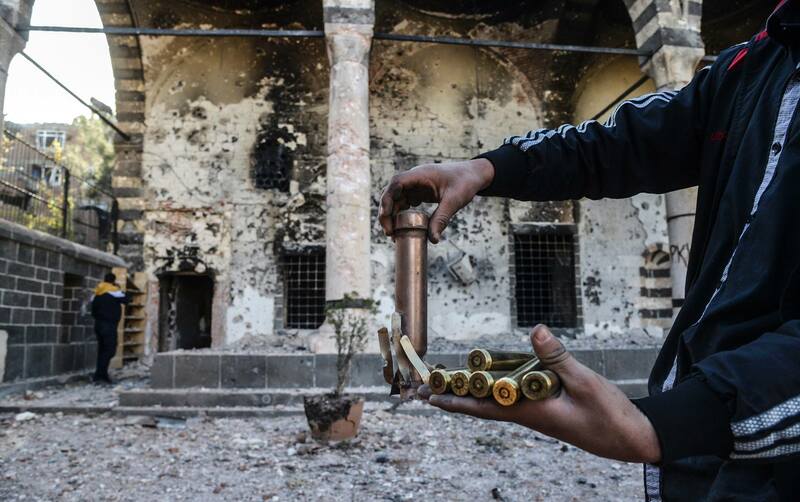 The 2nd Heavy Penal Court in the southeastern city of Diyarbakir refused on yesterday to release 91 suspects in the main case against the Kurdistan Communities Union (KCK), the urban wing of the Kurdistan Workers’ Party (PKK). According to Dogan news agency lawyers of the suspects had filed a request for releases on the grounds that the recent changes in the country’s anti-terrorism laws reduced the maximum pre-trial detention period from 10 years to five years. The Diyarbakir court, however, refused the request, arguing that there was a risk that some suspects could join the organization’s “mountain staff,” referring to militants in the countryside. The amount of time that the suspects have spent under arrest is “reasonable and measured,” the court ruled. Turkish President Abdullah Gul stated that his country should complete its peace process to end Kurdish conflict in Turkey, Hurriyet daily said. Speaking to journalists in Copenhagen during a three-day official visit to Denmark, Gül said Turkey was “not shining as bright” as it had in the last decade, while calling for a new “reform process” after the March 30 local elections, regardless of the outcome. Turkey should get out of these issues which I think are cyclical, Turkey’s main issue is to complete the peace process. No development that will put Turkey’s unity at risk should occur, he said. Speaking Kurdish and any expression of Kurdish culture was completely banned in Turkey until 1991. Now, Turkish President Abdullah Gul is distancing himself from his country’s past Kurdish policy. “I’m brave enough to admit past mistakes,” Gul told the Danish newspaper Politiken on Saturday. In addition, the Turkish president predicts that, if the state gives the Kurds “democratic rights,” there will be no reason for guerrillas of the Kurdistan Workers’ Party (PKK) to “fight anymore”. A demonstration that began in the southern Syrian town of Daraa against the government of President Assad sparked a civil war that is still raging three years on. The BBC’s Jim Muir gained rare access to a new front in the war as Kurds in the north clash with Islamist extremists and other rebel groups. Aras Xani, a spokesperson for the People’s Protection Units (YPG) which control Syria’s Kurdish northeast, says he has one wish for Newroz: That the war with al-Qaeda and other jihadist forces comes to an end. As long as the violence continues, he says, “the Syrian people are the only losers.” Xani claims that the YPG has been making military gains against the al-Qaeda splinter Islamic State of Iraq and Syria (ISIS) in fighting along the border with Turkey. “We’ve been able to liberate villages where ISIS has been stationed and was posing a threat to the region,” he says, referring to a cluster of villages just south of Ras al-Ayn (Serekaniye in Kurdish). A delegation from Syria Kurdish autonomic administration arrived in Ankara days ago and met yesterday Germany and UK ambassadors to Ankara after holding meetings on Monday with officials in two Kurdish provinces of Diyarbakir and Sanliurfa, Hawar news said in a report. The delegation discussed the Kurdish administration’s plans and goals in three cantons of Syria Kurdish regions with the two ambassadors. The report comes at a time that there are no reports whether the Kurdish delegation will meet any officials from Turkey foreign ministry. Syrians coming from most diverse social, educational, political and national backgrounds have gathered on March 8th and 9th in the Castle of Schlaining, Austria, in the framework of an “All Sides Consultation for a Political Solution in Syria” organized by the International Initiative, http://www.peaceinsyria.org. Pictures from the conference. The Danish closure of the Kurdish Roj TV is to be challenged at the European Court of Human Rights (ECHR), to determine whether a ruling by Denmark’s Supreme Court to uphold the shutdown is contrary to human rights. “The Roj TV case is related to political interests across borders. We hope that the European Court of Human Rights has a different view. Instead of connecting Roj TV to ‘terrorism,’ the court may relate it to ‘freedom of speech,’ Roj TV ‘s former director Imdat Yilmaz told the Danish newspaper, Arbejderen. He also hopes that, if Roj TV is successful at the ECHR, it may thus change the political perspective on media and press freedom. By Mark Campbell: A long time ago in between the two great rivers Euphrates and Tigris there was a land called Mesopotamia. Above a small town and tucked into the side of the Zagros Mountains, there was an enormous stone castle with tall turrets and dark high walls. The castle was cut out of the mountain rock. The castle gates were made from the wood of the cedar tree and carved into the shapes of winged warriors. Deep inside the castle lived a cruel Assyrian king called Dehak. His armies terrorized all the people of the land. All had been well before Dehak”s rule in Mesopotamia. To understand the political psychology of Turkey’s ruling Justice and Development Party (AKP), don’t miss its latest piece of propaganda — a three-minute, professionally made video with imagery worthy of a Hollywood blockbuster. The video succinctly summarizes the current grand narrative being promoted by Turkey’s ruling party: The Turkish nation is under attack, and Prime Minister Recep Tayyip Erdogan is calling on compatriots to unite and resist. The film begins dramatically: A Turkish flag flies beautifully, high above Istanbul from atop a colossal pole. A scary-looking man in a black suit and black gloves walks menacingly toward the pole, takes out a metal bar and breaks the mechanism for raising and lowering the flag. The flag begins to fall in slow motion as citizens watch in shock and horror. At that moment, Erdogan’s voice is heard reciting a passage from the Turkish national anthem. Now that I have readers’ attention, I have to admit that Vladimir Putin did not in fact announce his support for a unified Kurdish state. Our world remains too full of double standards for that. What Putin actually said was that after the collapse of the Soviet Union, “The Russian nation became one of the biggest, if not the biggest ethnic group in the world to be divided by borders.” With some 27 million Russians living outside of Russia, which includes places as far away as the Americas and Western Europe, Putin is right that the Russian nation in 1991 became “one of the biggest to be divided by borders.” If we’re talking about the number of people cut off from a state of their own by the vicissitudes of borders, however, they’re not the biggest one. With some thirty to forty million people and no state of their own anywhere, the Kurds hold that dubious honor. After the Ukraine secured its independence in 1991, the Kurds became the world’s largest stateless nation. PHOTOS: Photographer Fabio Bucciarelli spent three weeks of October 2013 in Syrian and Iraqi Kurdistan, and for two of those weeks was based solely in Rojava, a section of Kurdistan located in northern Syria. Rojava was largely spared from the fighting in the ongoing conflict until early last year, and last November a de facto Kurdish government was established in the region. About two million people in Rojava are part of the some 30 million Kurds—divided between Armenia, Iran, Iraq, Turkey and Syria—who have lost every fight for an independent state. As the Syrian civil war spirals into its fourth year, with more than 140,000 killed, 3 million refugees, millions more who are internally displaced and no end in sight, the Kurds lack a place at the negotiating table, but they may actually benefit when the fighting finally ceases. In the March New English Review we published both an interview with Dr. Michael Rubin and reviewed his recently published book, Dancing with the Devil: The Perils of Engagement with Rogue Regimes. Michael Rubin, is a former Pentagon expert on Iran and Iraq during the Bush era, and is currently a Resident Scholar at the American Enterprise Institute (AEI) in Washington, DC. At the conclusion of our previous interview we afforded him the opportunity to address issues facing the Kurds in the Middle East. He had recently traveled to the Kurdish autonomous area in the Northeastern province of Hasakah in Syria observing the developments of what the Kurds there call Rojava. In this second interview Rubin addresses with Syria, Turkey, Iraq and Iran. Rubin’s acute observations round out a piece of the puzzle in the Middle East, the emergence of Kurdistan. Twelve and a half years after 9/11, al-Qa’ida-type organisations control an area the size of Britain in western Iraq and eastern Syria. Include Afghanistan, Libya and Somalia and the territory they rule is larger in size than the UK. What is so extraordinary – and blameworthy – is that this vast expansion of jihadist groups comes even as the US, Britain and others are waging a “war on terror”. In the name of such a struggle, great sums have been spent; wars have been fought in Iraq and Afghanistan; civil rights have been curtailed; and torture, rendition, detention without trial and domestic espionage have been justified. But attempts to eliminate the supposed enemy have wholly failed. It is to consider the roots of this failure that The Independent published a five-part investigation by our distinguished correspondent Patrick Cockburn this week. The aim of the series is to show the extent to which jihadist organisations identical in ideology and methods to Osama bin Laden’s al-Qa’ida have survived, flourished and are now stronger than ever. 23. Berghof Transitions Series No. 11: “Living Freedom”: The Evolution of the Kurdish Conflict in Turkey and the Efforts to Resolve It, March 2014. 24. KCK statement on the anniversary of Halabja, 16 March 2014. 25. 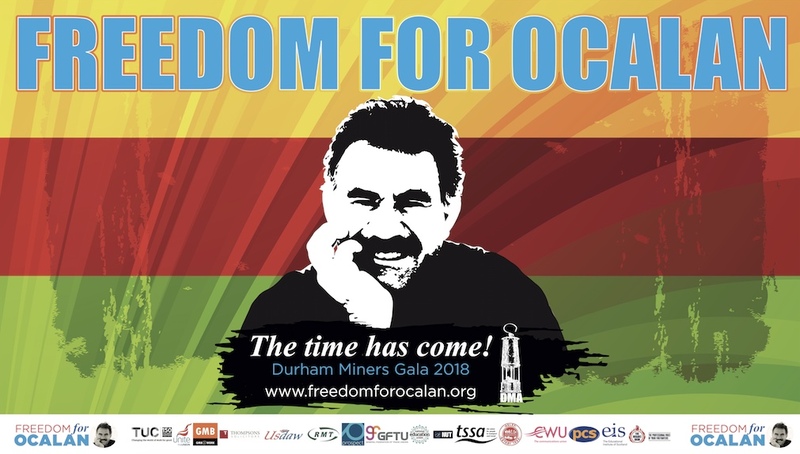 Öcalan vs. Turkey decision: A bad day for human rights in Europe, International Initiative statement. 18 March 2014. 26. Call for peace in Syria, Final Statement of the “All Sides Consultation for a Political Solution in Syria” Conference, held in the Castle of Schlaining, Austria, 8-9 March 2014. 27. Turkey: No more human rights violations in urban transformation, Amnesty International statement. 14 March 2014.